How will the future of foods change our lives? With GROWx, Botanic Bites, MOJO Nutrition & Noah Tucker. The current innovation of the food sector is in rapid transition. The number of new products and services can be stunning andoverwhelming. 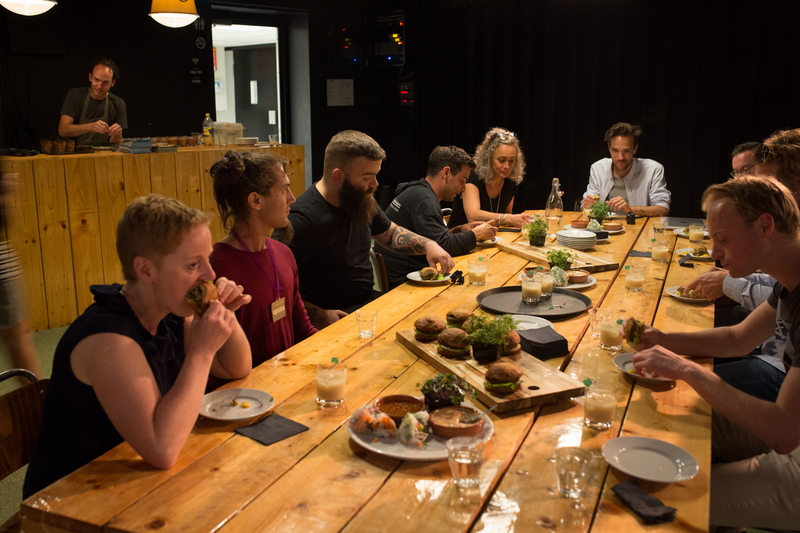 The futurefood.io meet-ups main priority is to provide insight and personal connection with these innovations. Who are the people behind the brands and websites, what is their core motivation and what role do consumers and customers play? In this first edition the futurefood.io meetup we’ll talk with a variety of start-ups about their vision, where they stand with their product or service and the importance of education. With a background in film and photography, Matthijs Diederiks got involved in the future of food mid-2016, due to a documentary project about complete food. For this documentary, he lived twelve (!) months solely on nutritional shakes such as Soylent. It resulted in futurefood.io, an online media outlet in which Matthijs investigates the future of food through personal narratives.